You will Watch One Piece Episode 493 English Dubbed online for free episodes with HQ / high quality. 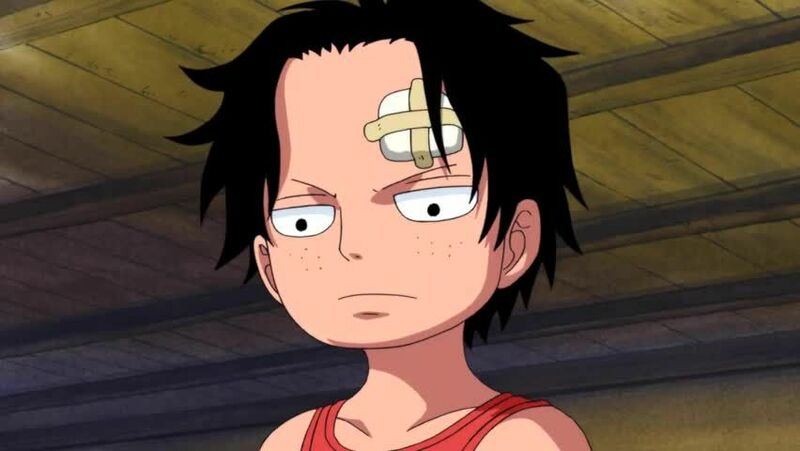 Stream anime One Piece Season 14 Episode 35 Luffy and Ace! The Story of How the Brothers Met! A flashback of Luffy’s life is shown. Ten years before Luffy’s journey, Garp takes his grandson to Mt. Corvo. While there, they meet mountain bandit Curly Dadan, along with her henchmen Magra and Dogra. Dadan also reveals about Ace who was adopted by her. While in the jungle, Luffy encounters more mountain bandits and eats their meat to his dismay. Dadan tells him that the mountain bandits are a member of her gang known as the Dadan family. She tells Luffy to work for her. Luffy hits Dadan and tells her that he must be strong. Ace walks away and Luffy pursues him. One week later, Dadan finds Luffy and has him sleep with Ace. Luffy continues to pursue Ace in the forests, and interacts with the animals. After two months, Luffy eventually reaches the end of the forest and finds a junkyard covered with fog.